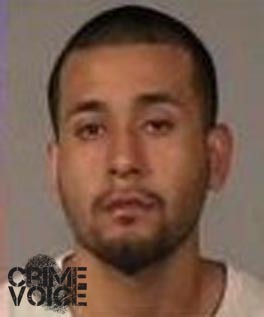 FRESNO – Police busted two separate chop shops in southeast Fresno and arrested two suspects, one of whom had a gun and ammunition hidden in his apartment. 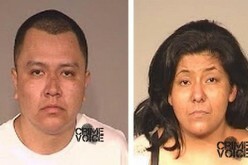 The first bust occurred on April 30 in Southeast Fresno, on McKenzie near Cedar and Butler avenues. Police received a tip about a car that was in the process of being stripped at that location. 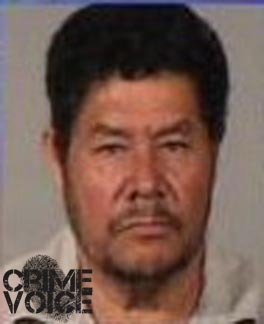 When officers from Fresno’s Career Criminal Auto Theft Team arrived at the house in question, they found the suspect in the middle of dismantling a stolen car. 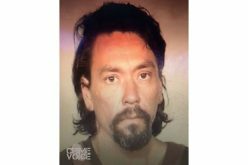 Police arrested the man, 50-year-old Raul Bonilla. Later in the day, officers raided a chop shop operation being run by a Bulldog gang member on South Chestnut in a garage underneath his apartment. The suspect, 21-year-old Dominique Coronado, hid the stolen car parts at a home around the corner on Church Avenue, according to authorities. Police also found a sawed-off shotgun, ammunition, and a military-grade gun vest hidden in the wall behind a poster at the apartment. Police say it isn’t surprising to find weapons and protective gear at a chop shop because the criminals are in dangerous situations. 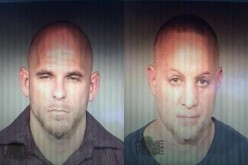 “They are involved in violent crime,” said Sgt. Tim Tietjan with the Auto Theft Team. “They have these to protect themselves.” Tietjan said that the suspects feel they have to protect themselves from other criminals who may have guns, as well as to be prepared in case of a confrontation with police officers. Coronado, a Bulldog gang member with a history of auto theft, was arrested. Tietjan said that efforts by the police department are helping with auto theft in the city. Last year at this time, an average of 20 cars were stolen a day. This year, that number is down to nine per day, Tietjan said.